Buying a home is typically the largest and most complicated financial commitment most people will ever make”. This is the phrase used whenever there is talk of homeownership and it applies to low-income households, too. First-time buyers face many barriers, one of them being the burden of monthly payments, having enough savings to sustain the responsibilities of owning a house, and income stability to qualify for housing loans. Even if they do qualify, potential buyers may be hampered by a lack of affordable homes in a preferred location or even information on how to buy a home. While the basics of acquiring a home is accessible to the educated and higher-income group, the low-income households do not have access to such information and perhaps have no idea about how to become homeowners. Lower-income group will stand to lose their homes if they are unable to keep up with payments. 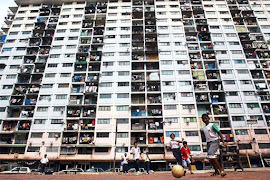 There are also reports of low-cost housing projects turning into slum-like housing after several years. While extending homeownership to the low-income households is a priority, issues like banking, financial management and education cannot be ignored. 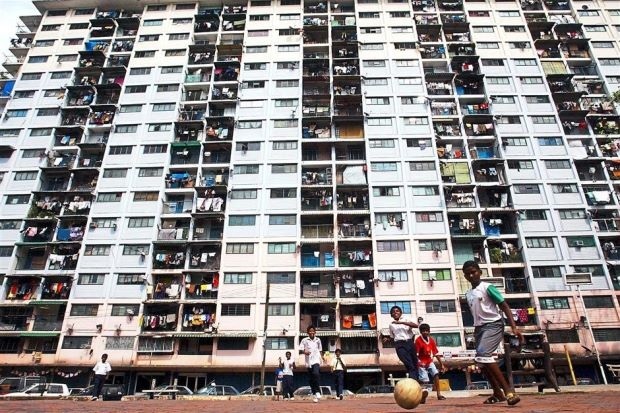 In the past five decades, scores of low-cost housing project schemes and funding plans have been introduced in Malaysia. Information on low-cost projects, those under construction or planned by the various low-cost housing providers, state economic agencies, federal bodies and funding schemes, should be made available to the public in a database. This will allow individuals to learn about the availability of affordable housing in their communities and the financing options available. It seems that the local councils and land offices have their own respective directives from their state government to impose a mandatory “low-costs housing” category. Have they have been overzealous in carrying out the directives? Has anyone make a last count of low cost units that are available in the market? Has there been overhang of such properties? We have time and again reiterated that there should be no racial profiling in low-cost, low-medium cost or those under the category of affordable housing scheme. We must stick to the adage that “whoever deserves a house must get a house”. Buying and owning a house is a riskier proposition for households compared with renting. Buyers take on enormous debts, sign multi-year loan agreements and become responsible for homeowners’ cost of their homes. Newspapers have printed proclamation of sales or units for public auction and a large portion of the properties are below RM50,000 with some going below RM10,000. Banks have also upload cases of foreclosure properties on their website. CIMB’s list of properties up for public auction showed 35 units of properties in Selangor at reserved price of less than RM42,000, i.e the price of a new low-cost unit. Low-cost units being auctioned for half or more than half the price they were sold is an alarming trend. Unfortunately, there are no official statistics on how many low income earners have lost their homes or not being able to finance their purchase promptly. Where do these homeowners and their families end up living? Foreclosures can devastate a family’s economic and social standing, leaving them poorer instead. Making sure lower income households have sufficient personal financial management skills is more than a supplementary issue. Financiers, local authorities and communities benefit from homeowners being better informed of their rights and responsibilities as homeowners and borrowers. Support for potential home buyers and owners is crucial. to provide counselling and debt management to individuals as well as financial education to help individuals take control of their financial situation. We recommend that a similar programme - Homeownership Education Programmes to be set up to raise overall financial literacy as a method to prepare low-medium income households to take on the responsibilities of owning a home, so that the hard task of ensuring a “home for everyone” be maintained and house owners do not end up being “squatters” again. Homeownership education can be in the form of manuals to be handed out, advice and information given out by telephone, workshops or “face-to-face” counselling. These services should ideally be provided before a potential buyer signs a purchase contract. Counselling should be provided to help households maintain their homes or to manage their finances. It is not enough just to provide homes for the low-income group who are also first time buyers on the many aspects of homeownership. The success of any public housing programmes can be achieved by assisting the lower income group to acquire and remain homeowners. We recommend that potential buyers to be trained to take responsibility of ownership. This recommendation is intended to encourage all potential first-time low-medium cost homebuyers to attend a homeownership education programme before they search for a home or sign a sale and purchase contract. Educate yourself and learn from the mistakes of others to avoid being disappointed or worse, “house poor”.